How long will I need, where will I stay? How long will I need? Your Great Eastern Drive road trip can take anywhere from a weekend to a few days, a week or longer. Whatever your passion is—from exploring the east coast’s stunning natural places, to sampling the region’s fine food and wine, treating yourself to a luxurious escape or simply relaxing—you’ll find it here. The more time you can spend on Tasmania’s east coast, the more you’ll discover, so choose your favourite experiences and take the time you need to explore one of Australia’s greatest road trips. 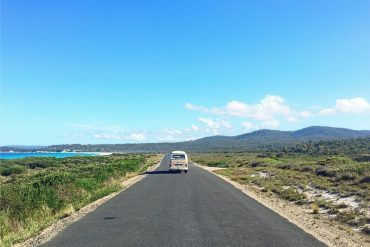 For more inspiration to help you plan your Great Eastern Drive road trip, check our other articles and Things To Do. You’ll find a huge range of accommodation on the Great Eastern Drive, from beach houses and bed and breakfasts to eco-lodges and family-friendly holiday resorts, motels and apartments to luxury retreats and heritage homes. See Where to stay for more information. PS. To help plan your visit, you can check our travel times and driving distances.